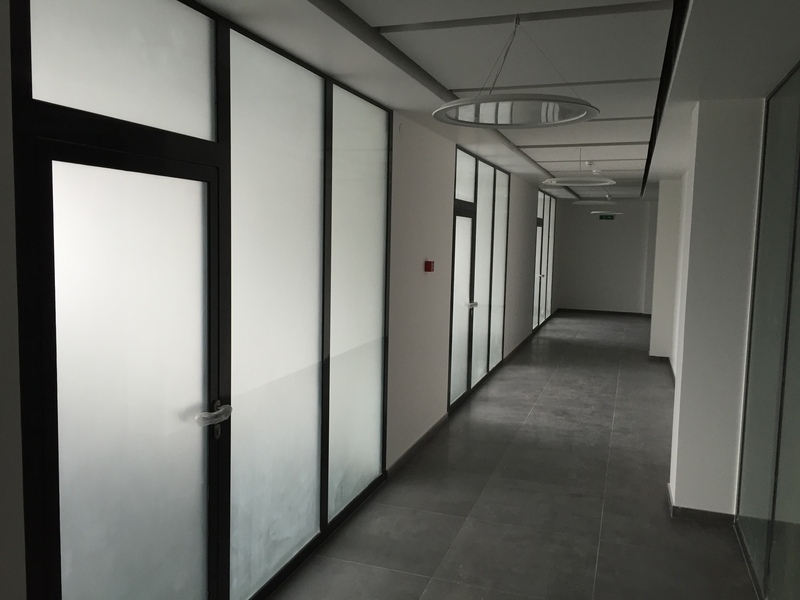 Glazed (glazing up to 90%) and unglazed firewall partitions are made of VA-FIRE steel profiles produced by Voestalpine Austrian corporate group. 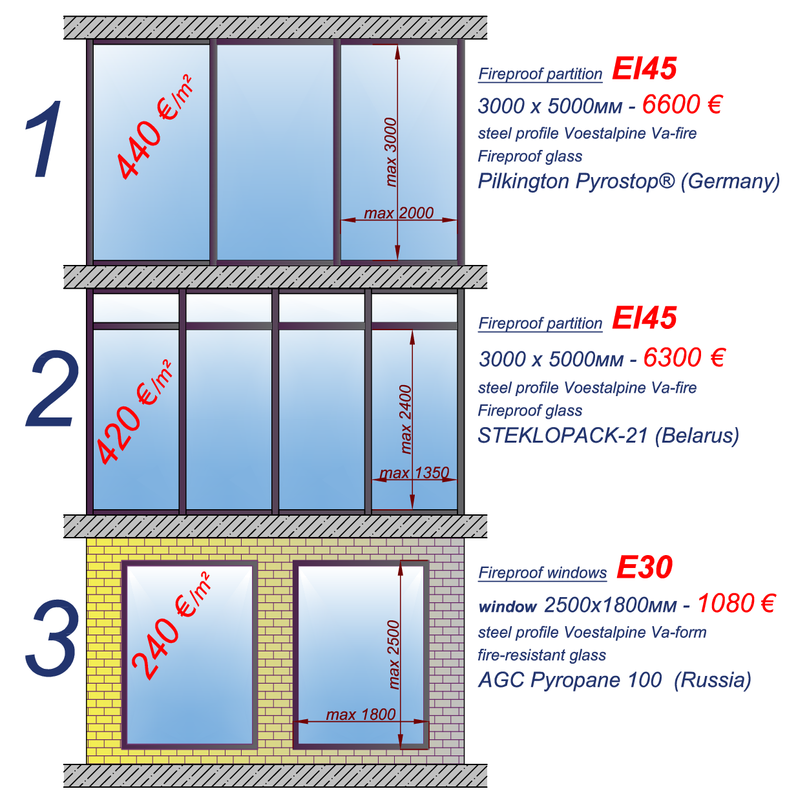 The fire resistance of the firewall partitions is up to 45 EI. 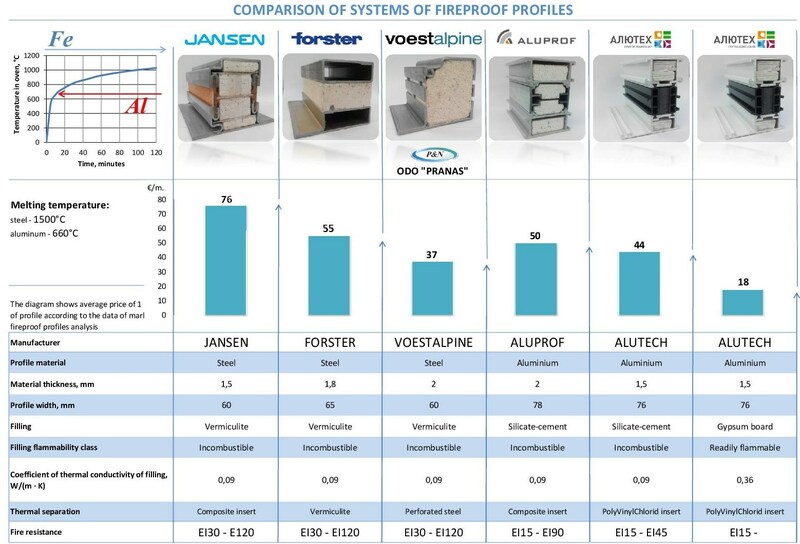 It is the narrowest system of fireproof profiles among their analogs (60 × 50 mm). It is the strongest system of profiles among their analogs (wall t is equal to 2 mm). This system of fireproof profiles is the most resistant to corrosion among their analogs (both outside and inside of the profile zinc layer thickness is 120 µm ). 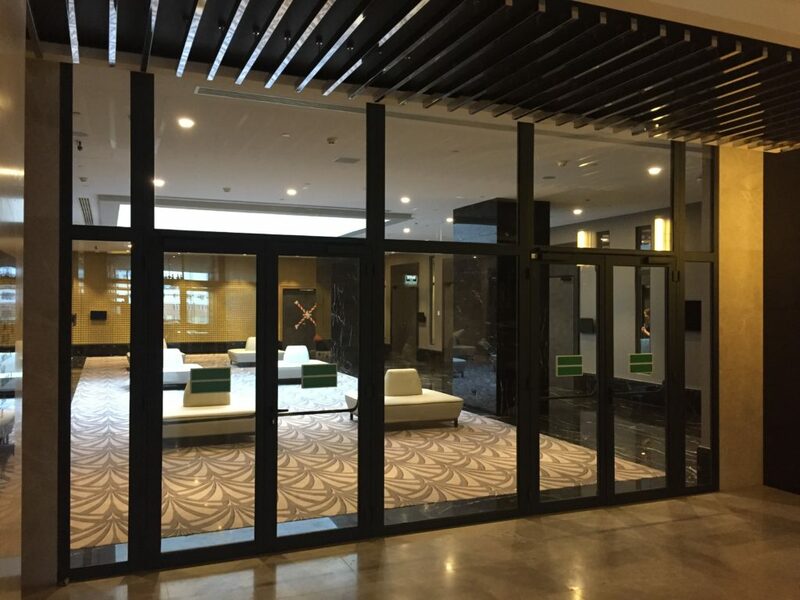 Compliance with the best modern practice with regard to smoke-proof partitions and uninterrupted duty (Class C5 conforming to EN – 200 000 opening cycles).